This book provides foreigners with a head start to understand Brazil and Brazilians. When thinking about Brazil what comes to mind is Rio de Janeiro, Carnival parades, beaches, forests, women in bikinis and soccer players. But Brazil is much more. ''Rio for Partiers'' doesn't just tell you about Rio de Janeiro -- it shows, in a humorous style, everything you should do, visit, eat, drink, and see to make the most of your trip to South America's most fascinating city. 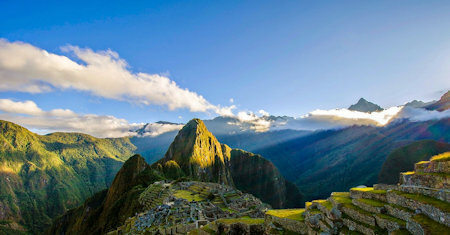 Hiram Bingham (1875 - 1956) is generally recognized as the discover of Machu Picchu, although other Europeans have claim to have seen it earlier. This detailed narrative is his record of the exploration that led to Machu Picchu. This book was written from sea level to 18,000 feet among the clouds; from the equator to fifty-six degrees south latitude; from regions where rain never falls to regions where the rainfall is one hundred and fifty inches per year. The capital of Chile offers a splendid mix of nature and city life. Experience museums, tasty wine, trips to the Andes and the best of Chilean culture with our guide. Maps and tips will make your stay in Santiago memorable. The book contains information about several of the large cities on the continent which are all worth a visit. This guide over Central and Southern America provides you with information of the sights and attractions, so be sure to take it along. This guide presents one way of experiencing Buenos Aires. A wealth of activities exists in Buenos Aires and in 4 days you can only sample the best things to do. This e-book is simply a way for me to share some of my own approaches to the city. Few cities cause as much happiness as Rio de Janeiro. The highlights of the city are literally speaking the characteristic Sugar Loaf Mountain and the impressive Statue of Christ, which is watching and embracing the entire Rio de Janeiro.